Breast cancer patients often develop bone metastasis evidenced by osteolytic lesions, leading to severe pain and bone fracture. Attenuation of breast cancer metastasis to bone and associated osteolysis by fish oil, rich in EPA and DHA, has been demonstrated previously. However, it was not known whether EPA and DHA differentially or similarly affect breast cancer bone metastasis and associated osteolysis. 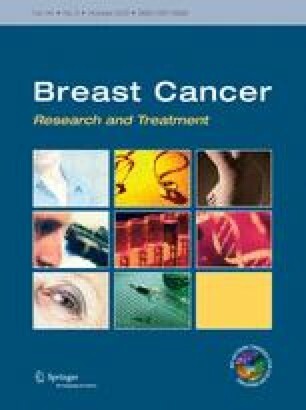 In vitro culture of parental and luciferase gene encoded MDA-MB-231 human breast cancer cell lines treated with EPA and DHA revealed that DHA inhibits proliferation and invasion of breast cancer cells more potently than EPA. Intra-cardiac injection of parental and luciferase gene encoded MDA-MB-231 cells to athymic NCr nu/nu mice demonstrated that DHA-treated mice had significantly less breast cancer cell burden in bone, and also significantly less osteolytic lesions than EPA-treated mice. In vivo cell migration assay as measured by luciferase intensity revealed that DHA attenuated cell migration specifically to the bone. Moreover, the DHA-treated group showed reduced levels of CD44 and TRAP positive area in bone compared to EPA-treated group. Breast cancer cell burden and osteolytic lesions were also examined in intra-tibially breast cancer cell injected mice and found less breast cancer cell growth and associated osteolysis in DHA-treated mice as compared to EPA-treated mice. Finally, doxorubicin-resistant MCF-7 (MCF-7dox) human breast cancer cell line was used to examine if DHA can improve sensitization of MCF-7dox cells to doxorubicin. DHA improved the inhibitory effect of doxorubicin on proliferation and invasion of MCF-7dox cells. Interestingly, drug resistance gene P-gp was also down-regulated in DHA plus doxorubicin-treated cells. In conclusion, DHA attenuates breast cancer bone metastasis and associated osteolysis more potently than EPA, possibly by inhibiting migration of breast cancer cell to the bone as well as by inhibiting osteoclastic bone resorption. We acknowledge Emily Molina for her kind review of our manuscript for grammatical corrections. We thank Ocean Nutrition Canada for free supply of FO-EPA and FO-DHA for this study. This study was supported by DOD, BC096459, Elsa U. Pardee Foundation 131884/44096 and NIH AG034233 grants.